A Girls look cannot be completed without any accessory be it a casual day or a formal event. A fine delicate piece of jewelry can add an extra bit of glam and trendy touch in whole out fit look. Nowadays online stores made it easy for us to pick and buy our favorite piece on the run. Sheer class is one of the Facebook store which have an amazing collection of latest accessories on very reasonable price. Today i have got some lovely pieces from this store to share with you. 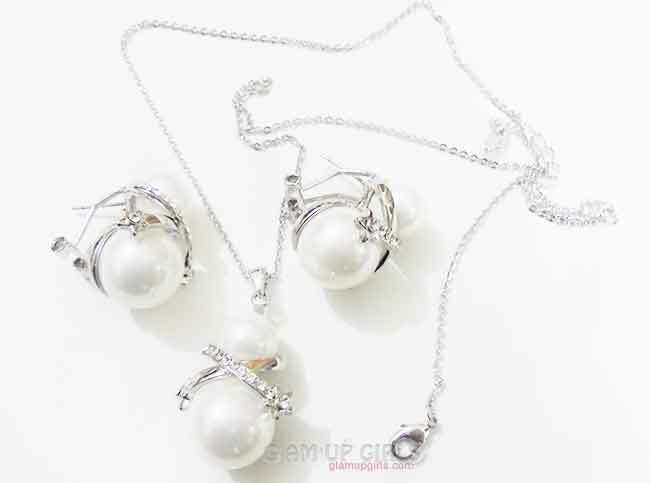 A very beautiful, delicate yet of very fine quality pearl pendent set. In this set there is one pair of earrings and one pendent with a long chain. The chain is very delicate made of silver light materiel. The pendent is made of one large and small pearl with rhinestone lining on silver metal. The earrings are similar to pendent which are not heavy and have protection on backside. Over all this set is perfect for any formal event. It can go along with any dark color formal dress. The quality of these pieces looks really good. I have wore it to one occasion and it was comfortable to wear and i have not noticed any color fading. This bracelet is one of the lovely accessory i own so far. It is made of golden metal which have two large crossing and few small rhinestones in the center creating the shape of flower. The materiel looks very fine and i must say for the price it is amazing. The rhinestones are perfectly placed and doesn't stuck to hairs or cloths. So far the color remain intact after wearing it few times. A very light weight beautiful long danglers is made of golden metal with white pearls hanging with delicate chains. The quality is very fine and is perfect for casual to formal looks. It is so weight less that you can't feel its presence after wearing it. It doesn't stuck in hairs and is very comfortable to wear. A lovely trendy ear cuff which is quite in fashion nowadays. 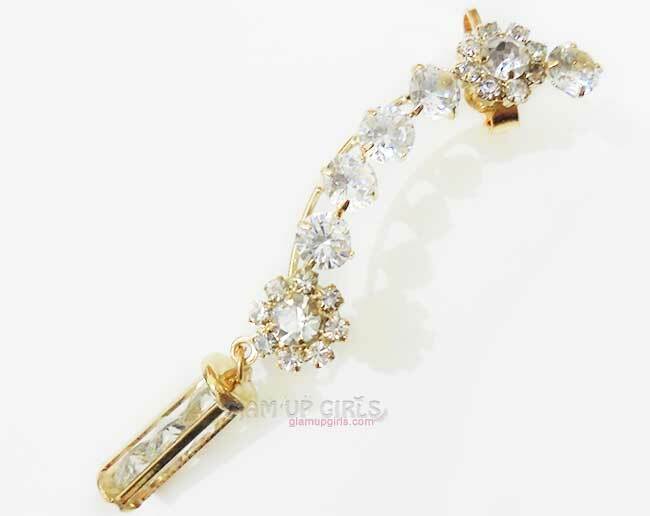 I would love to wear it on formal occasion with curly hairs styled to one side and this ear cuff on another. It is made of golden metal with some large rhinestones placed on top. I have a feeling that they will stuck to hairs so it is better to wear them with hair up or styled on another side. The dangler have three crystals in cage which looks lovely. It is not very heavy but little tight on top closure which i hope will loosen with time. Overall it is a must have in your accessories if you want a different look in crowd. 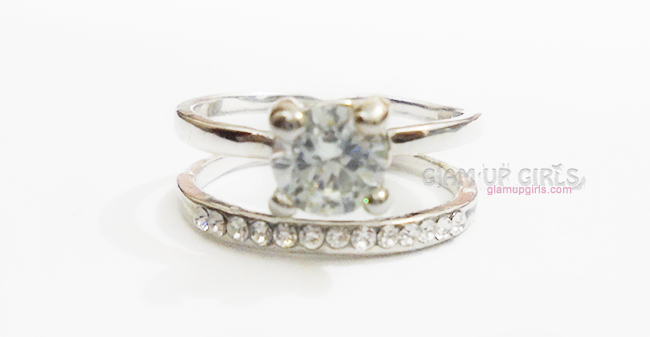 This ring creating the look of double ring is made of silver alloy with rhinestones. The one side of ring has one large crystal in center and other side has small rhinestones in line. The quality is extremely fine and beautiful and the style is very trendy. I am wearing it for few days and have not noticed any color fading. 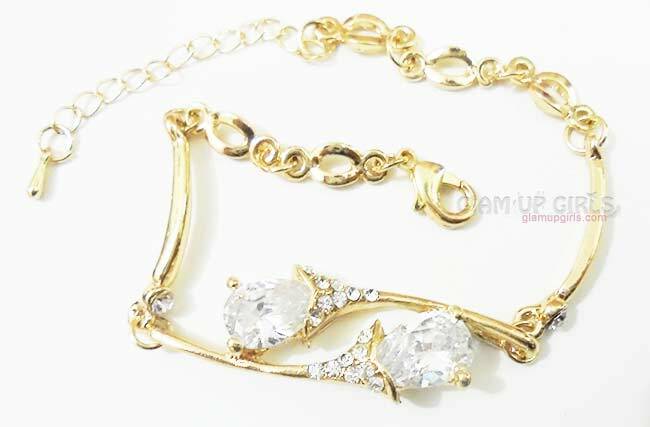 A beautiful golden charm chain made of golden alloy. 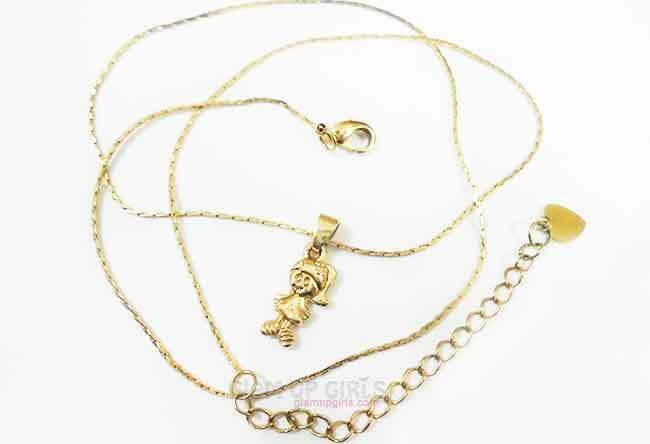 The chain is extremely beautiful and have a small doll charm pendent. As soon as my younger sister looked at it she got it from me and is wearing continuously for two weeks and for my surprise the color is not faded even a little which i do not expect specially from golden jewelry. So i would say the quality is amazing. Overall i highly recommend this store called Sheer Class to anyone who want a fine good quality jewelry on very reasonable prices. The package came to me well packed and secured and every thing was separately placed so they won't stuck to each other. They have wide verity of jewelry pieces like earrings, rings, bracelets and pendent sets and ship to every where in Pakistan.